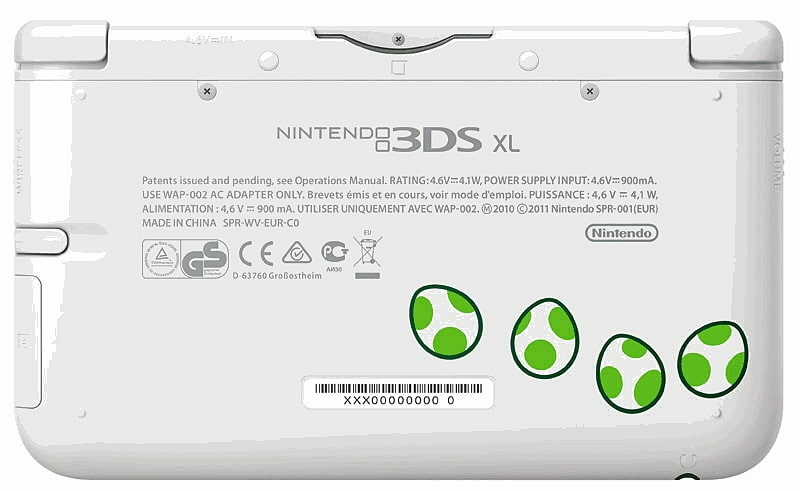 The luxury Nintendo 3DS model, featuring a larger design and Nintendo's biggest portable screen yet. 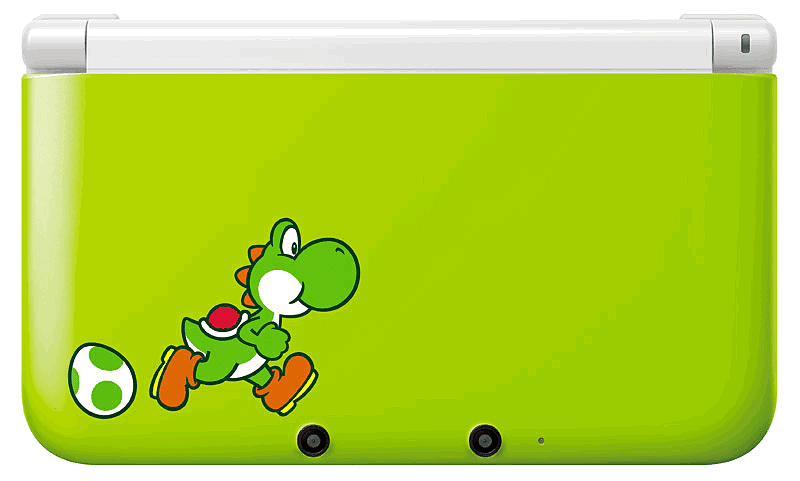 Show some love for Mario's noble steed and friend with this special Yoshi 3DS XL design. Please note – the 3DS XL does not include an AC adaptor; this will be sold separately. However, the adaptor from the 3DS and DSi is compatible with the 3DS XL. An Island Egg-venture Starring Yoshi. The third installment in this beloved franchise makes its way to the Nintendo 3DS system.